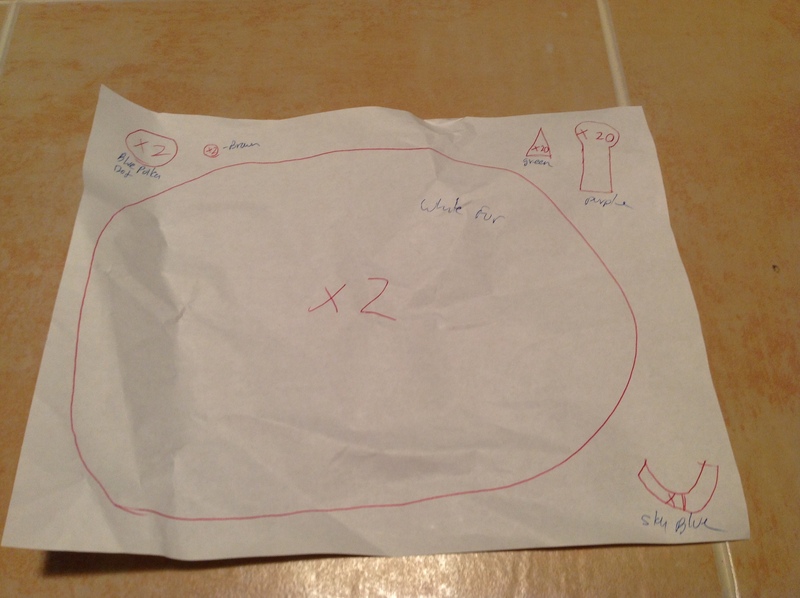 Some of you may recall that my son and I worked together on Perry the Paramecium over two years ago! This was a fun project that basically involved him telling me what he wanted and me making it. Now that he is older, he is a lot more involved in the collaborative process. Last week I gave him a pile of fabric and told him to think about what he wanted to make with it. The next day he showed me the pattern he created for a a stuffed germ that he dubbed “Blanketitis” (since it was made with blanket material, get it?). This was another fun and easy softie to make. I did the sewing, he did the stuffing and made all the creative decisions. 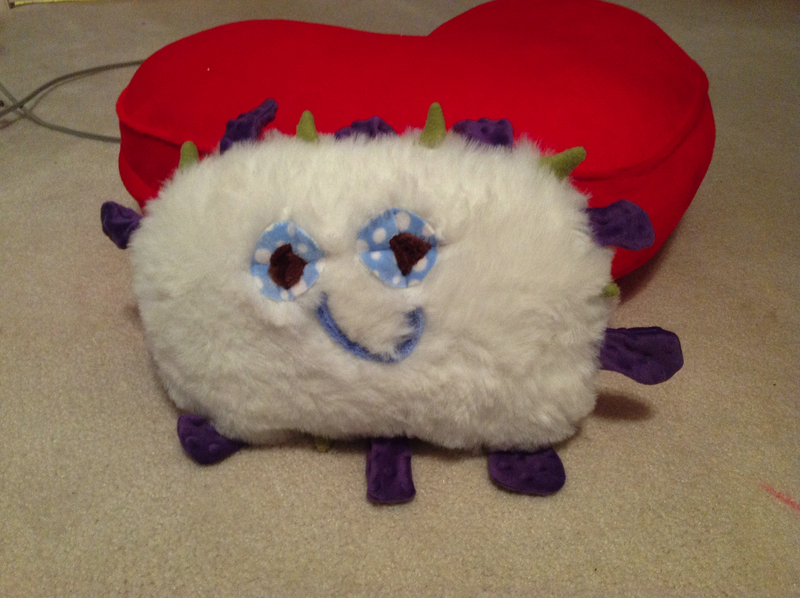 He wants to make a whole line of stuffed germs, so we’ll have to see what he comes up with next! This entry was posted in Dolls and Softies, For Kids, Miscellaneous, Sewing. Bookmark the permalink. This is one of the cutest germs I have seen. What a creative mother and son. Oh, that’s so cute. It reminds me of the Giant Microbes stuffed toys. so cute and clever ! !